Gabriel (6yrs old) will be collecting blankets (new or gently used) for the dogs at Spartanburg Humane Society. Check out his Facebook page, Barks and Blessings. We will have some dog blankets for sale if you would like to purchase one to donate. If you donate, your name will be entered into a drawing for prizes. We hope you will shop with us to celebrate shopping local! We have a lot of great shops and restaurants in downtown Spartanburg, so shopping local is fun! We will begin our holiday gifts from Santa at Paisley Paw. From Friday, Nov.24 – Saturday, Dec.23, when you make a purchase of $50.00 or more, you will get to choose a free gift for your dog or cat from our Santa’s Toy Bucket (while supplies last). We will have hot cider and cookies. Come by and do a little shopping for your fur baby. Our last class for the year! 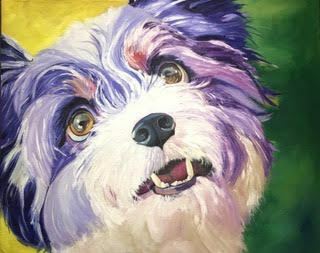 Katherine Rausch is a local artist who helps you paint a canvas of your pet. You send her a photo of your pet and she sketches it out on a canvas. Then, you come and paint it with Katherine’s guidance. Check out previous “Paint Your Pet” nights on our Facebook page. Cost is $55 per person. We also ask, if you like, bring donations for Spartanburg Humane Society. Sign up ahead of time by contacting Katherine at 864-420-8686 or Katherine.e.rausch@gmail.com. Limit 12 per class. Items needed for the shelter are paper towels, laundry detergent, bleach, dog or cat food, liquid dishwashing detergent and litter. Thank you for supporting Paisley Paw in 2017! We appreciate your business and enjoy you and your fur babies coming in to see us. We wish you a Merry Christmas and many blessings in the coming year! Our love to you all! 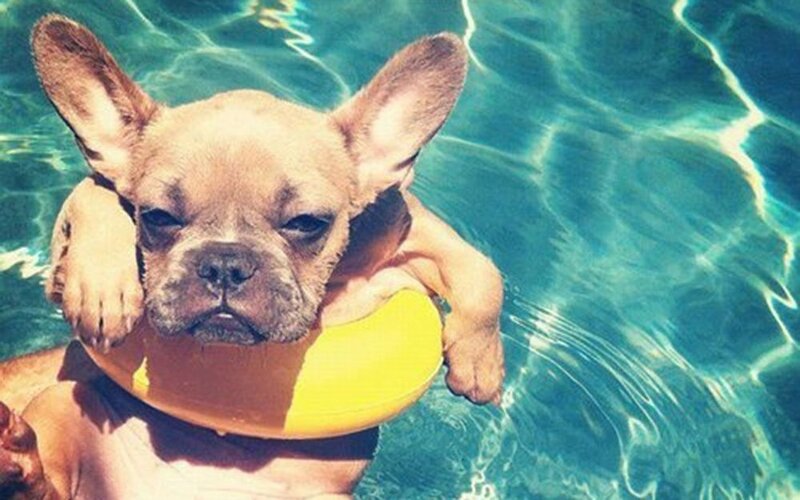 Summer is Here and Your Pup Wants a Yogurt! We are looking forward to summer and we hope you will stop by the shop for a visit! Check out all our “cool” toys and lots of new treats. And, we have yogurts in the freezer ready to cool down the pups. We will have two staff members in the store most afternoons to give you the best customer service and keep the dog wash area clean and ready to go for your babies. There is no appointment necessary for a DIY Dog Wash. We have everything you need, including shampoo, conditioner, warm towels, brushes, and dryers. Just bring the dog, of course. And, as always if you need any assistance to carry your pet food to the car, we will be happy to help! Our great staff love your pets as much as their own — Bailey Harvey, Morgan Casey, Mae Webster, Austin Horres, Allison Horres, and groomer Becky Bursha. 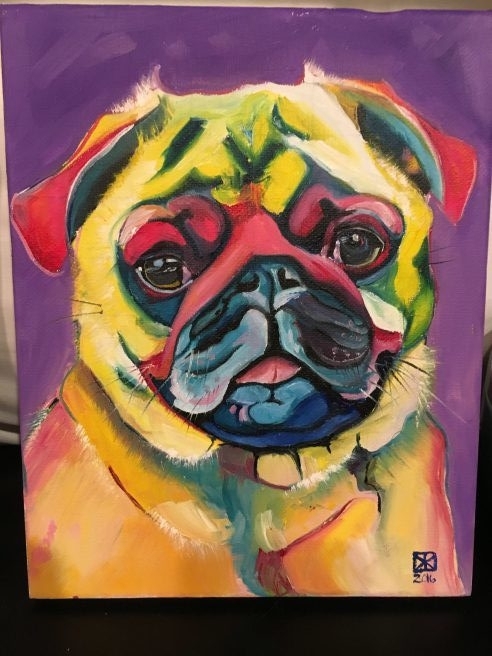 We’re hosting another Paint Your Pet Night on Monday, June 5, 6-9pm. There are still a few openings. 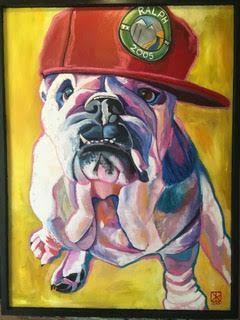 Be sure to take a look at paintings from previous classes on our Facebook page. Email Katherine Rausch if you are interested. The workshop is $50 per person and a portion goes to Hub City Animal Project. And, don’t forget, you can bring adult beverages to enjoy while you paint. Nail trims are available on Wednesdays 10-11am or 5-6pm and cost only $8. Grooming is available by appointment on Wednesdays, Thursdays, and Fridays. Book your appointment on our website www.paisleypaw.com or call us at 864-327-9323. SHOP LOCAL! Downtown Spartanburg is the place to be, full of lots of great restaurants and shops. And, don’t forget we have putters and balls for the Sparkle City Mini Putt. We look forward to seeing you and your fur babies!